The Obligatory New Year's Post - Her voice was clear and musical, but deeper than woman's wont. I hope everyone had a good New Year holiday. I spent mine home, where I wanted to be. I haven’t spent a great deal of time reflecting on the past year. It wasn’t terribly eventful for me. I did some fun stuff, but nothing unusual, really. One thing I can say is I am happier than I was a year ago, and I can attribute that mainly to two things: I’ve reconciled my new identity as an “ex-christian,” and I’ve made some local friends. I also helped successfully form a local PFLAG (Parents, Families and Friends of Lesbians and Gay) chapter. We are still not official, but it shouldn’t be long now. 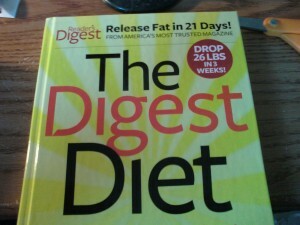 And, after years of searching, I finally found a diet plan I feel good about (healthy eating) and I lost 20 lbs. I’ve managed to stay within a five pound range of that through the holidays, and plan to drop another size this spring. I know some of my friends did not fare well last year, and some did just fine. That’s life, I guess. But I wish all of you a great 2013. Now to get used to writing the date! Thanks! Happy New Year to you, too!